Stamie Lyttle specializes in septic system installation throughout the Richmond region. 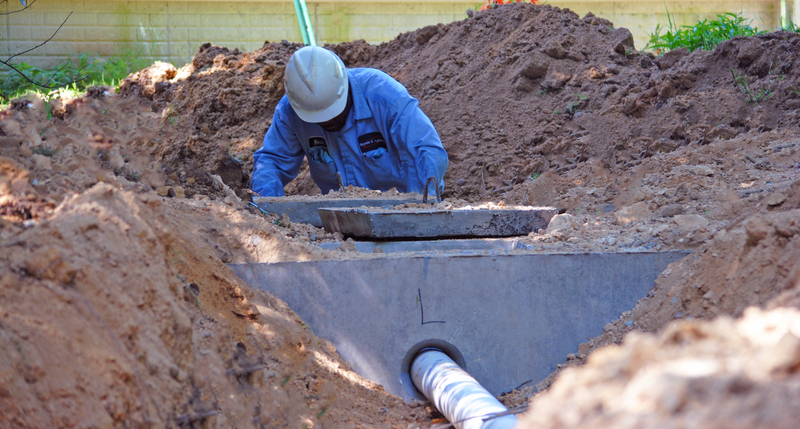 Our installers have years of experience putting in septic systems for new homes and at older properties that require an overhaul of the current system. We will talk with you about your needs, determine where to place the septic tank and drainfield based on the land’s characteristics, and quote you a fair price. If you are interested in installing a septic system on your property, please call us at 804.232.6774 or contact us online. Did you know that nearly 25% of all homes in the United States are on septic systems? Most people think of septic tank installation when they think of installing a system. However, there are four systems used to treat wastewater: anaerobic/septic, aerobic/aeration, media filter, and hybrid systems. Each has different uses along with pros and cons. They are very different in the process but all are used to achieve maximum degradation, while meeting the strict regulations set by the environmental agencies that regulate what is released into the air, ground, or water. Stamie Lyttle is skilled at installation and servicing of each type of system below. If you have questions about a system at your home or whether it would be advantageous to consider another type of system, let us know. The most common type of primary treatment is a septic tank installation on the property. Once raw sewage enters the septic tank, it is held in an environment where active bacteria eat away at the organic waste until all that is left is basic non-volatile elements which can safely be dispersed through a drainfield into the ground and ultimately returned to the groundwater. The greatest advantage to an anaerobic system is its simplicity. Because the bacteria do not need oxygen to thrive, no mechanism is required to supply oxygen to an underground tank. The anaerobic system requires the least amount of septic tank maintenance but is more susceptible to harmful household chemicals than aerobic systems. Aerobic treatment happens when bacteria utilize oxygen to degrade organic matter. The two most common types of aerobic treatment are activated sludge systems and aerated stabilization basins (ASBs). The degradation of biochemical oxygen demand (BOD) is achieved through aerobic bacteria in a system. The bacteria utilize oxygen in order to convert the organic material to carbon dioxide. The bacteria meanwhile multiply, which in turn creates more bugs to break down more BOD. As the amount of BOD in the system reduces, the total number of bacteria will also decrease. Aerobic bacterial colonies are generally regarded as better for on-site wastewater treatment because they are less susceptible to household chemicals than anaerobic bacteria. Aerobic bacterial colonies are also better at breaking down human waste than anaerobic bacteria. However, aerobic bacteria are less able to break down inorganic solids, so aerobic systems may become clogged more easily. Aerobic bacteria also require constant aeration, so lengthy power outages can harm bacterial colonies in aerobic systems. Proper aerator placement and routine maintenance are critical to ensuring that system performance does not deteriorate over time. A third means of treatment is by mechanical filtration. In this case, the effluent is screened through a media filter which removes the pollutants and strains pathogenic flows. Media is varied and examples include peat moss, coconut fiber, styrofoam pellet beds, and sand mounds. While the media is able to filter out most solids and large parasitic life which thrives amongst wastewater, media filtration is almost never sufficient to treat on-site wastewater alone. Most packaged treatment systems utilize a combination of aerobic/anaerobic treatment and media filtration. A traditional septic system has primary anaerobic treatment and relies on the drainfield soils to provide a final media filtration. Many of the engineered systems installed today have several layers of both bacterial and media filtration to ensure greater levels of treatment. Generally, the better the condition of the soils on the site to be served, the lower the level of treatment is required prior to dispersal. 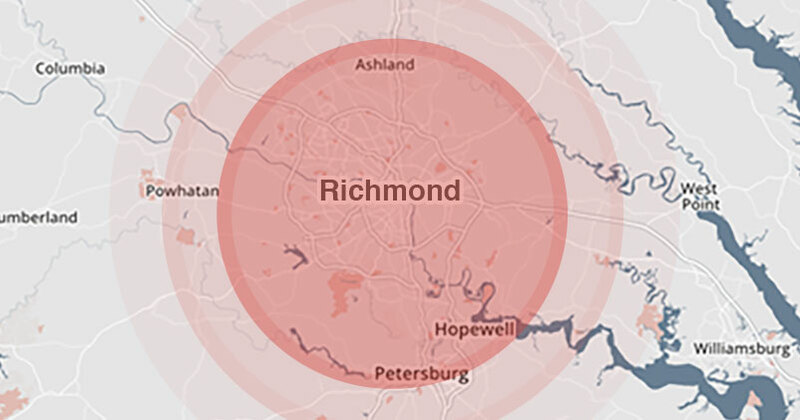 To speak with a Lyttle representative regarding septic system installation anywhere in the Richmond region, contact us. Please call us at 804.232.6774, Monday-Friday, 8am to 4:30pm or contact us online anytime. For after-hours Emergency Services, please call 804.641.5942.